by Saxon, John H., Jr. Comments: Good condition Ex-library book with minimum amount of wear. Same day shipping. Thank you. 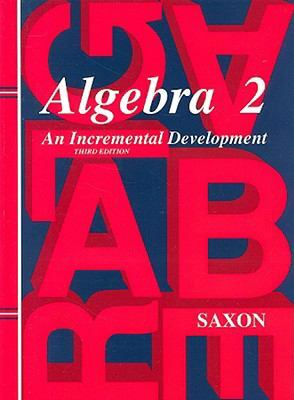 Saxon, John H., Jr. is the author of 'Algebra 2', published 2003 under ISBN 9781565771406 and ISBN 1565771400. Loading marketplace prices 297 copies from $17.22 How does the rental process work?